The University of Brighton has been awarded more than £36,000 to trial a fleet of 20 power bikes. 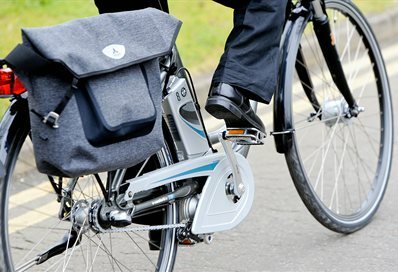 The Electrically-Assisted Power Cycles (EAPCs) will be for hire and will be available between the university’s campus in Eastbourne and the town’s railway station. Dr Anne Mandy, Reader Centre for Health Research and Dr Frauke Behrendt, Principal Lecturer in Media Studies, have been awarded the funding from the Department of Transport to explore the uptake of the bikes, in conjunction with Southern Railway and Eastbourne Borough Council. University staff and students will be the key user group but members of the public will be encouraged to ride the bikes during less-busy times including weekends. Tagged e-bikes, Eastbourne, Eastbourne Borough Council, Electrically-Assisted Power Cycles, School of Health Sciences, Southern Railway, University of Brighton. Bookmark the permalink.